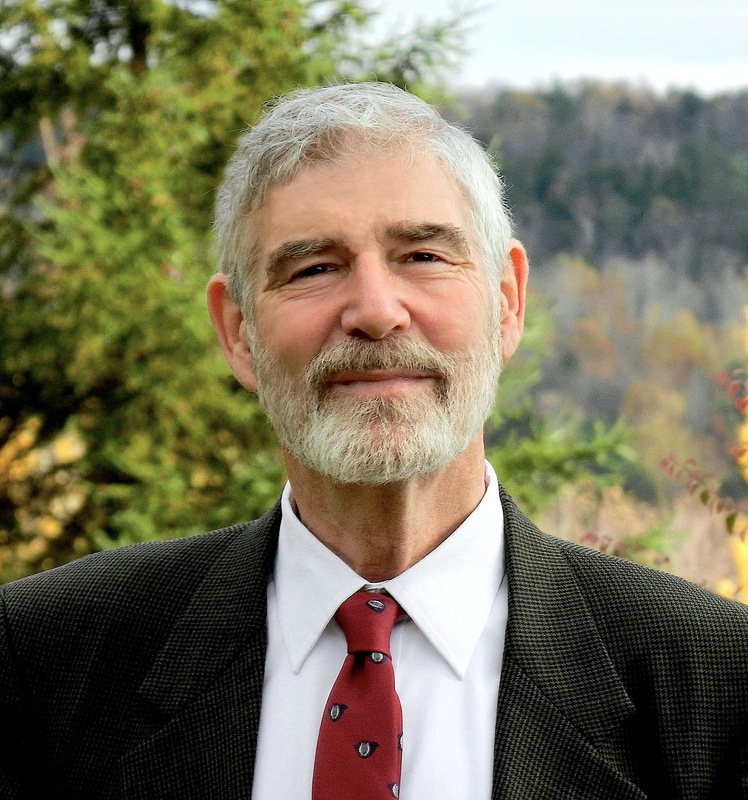 Michael D. O'Brien is a Canadian Catholic author, artist, essayist and speaker on faith and culture. He and his wife Sheila live near Combermere, Ontario, and they have six children and eight grandchildren. A prolific author of 23 books published in 14 languages, Mr. O’Brien is best known for his series of apocalyptic novels collectively titled Children of the Last Days, which opened with the best-selling Father Elijah: An Apocalypse. A prolific artist, he also paints religious art in neo-Byzantine style with a contemporary interpretation, featuring his work on the covers of all of his books with one exception. His latest novel, a science fiction allegory titled Voyage to Alpha Centauri, was published in December 2013. On July 15, I conducted the following interview with Mr. O’Brien by email. I am writing a sequel to one of my novels, Father Elijah, which was first published in 1996. The new novel is titled Elijah in Jerusalem. One might call it a speculative apocalypse set in the near future. Do you have any big writing projects planned for the future? Though there are always a few stories percolating in my imagination, I hope to return to my painting for a time, after completing this novel. Because of Father Elijah, some readers have referred to you as “the Catholic Tim LaHaye,” suggesting that your books are a good Catholic alternative to LaHaye’s “Left Behind” series and Dan Brown’s “DaVinci Code” series. Do you see yourself as the Catholic version of an End Times prophet, or are your novels more for entertainment? Permit me to cringe a little. Brown's and LaHaye's works are both gravely flawed in different ways—spiritually, historically, scripturally, and in the realm of prudential discernment. Both authors exhibit elements of a kind of neo-gnosticism, though in very different ways. I do not perceive myself as a prophet in terms of attempting to foretell the future. And as for entertainment....uh, no, definitely not. The stories may be gripping but they aren't beach books. I write in the long tradition of Catholic reflection on eschatological themes, following Christ's exhortation in the Gospels of Matthew and Luke regarding "end times." These passages are a solemn warning to every generation: We do not know the day or the hour when the Son of Man will return. Our essential duty in this regard is to "stay awake and watch." My books ask crucial questions that should be asked by every generation of those who follow Jesus. Are we awake? Are we prepared, if the unfolding events in our times prove to be the age foretold by Jesus and Old and New Testament prophets? Your latest novel, set 80 years in the future, is about an earth expedition to the star closest to our solar system. Is there a deeper level of meaning to this story? There are several layers of meaning, ranging from the more visible sociopolitical, psychological and anthropological elements to the inner dimensions of the meaning of human persons and salvation history. I don't want to give away much of the plot and spoil it for readers. But I can say this: Our fascination with the near-angelic powers of new technology, its benefits and dangers, its potential for obsession and catastrophe, raises vital questions about human nature and the cosmos, about man’s image of himself and where he is going—and why he seeks to go there. What, really, is he seeking? Is it merely more knowledge? Or is there within his very nature an innate hunger for transcendence, which if not fed good food will emerge in mutant forms of neo-transcendence? Of course an infinite material universe offers plenty of opportunities for this. It seems that most of your major works, artistic and written, feature explicitly Catholic themes. How has your Catholic faith evolved or changed throughout your life? My Catholic faith is my life, because here I meet the living Jesus every day, every moment. Over the years I have also become increasingly attentive to the interior promptings of the Holy Spirit. As a person whose life is totally in the creative realm, I have learned the truth and reliability of what we could call "co-creation," what Tolkien called "sub-creation." Co-creation is the richer understanding, since it is about the dynamic interaction between grace and nature. In the real universe—that is, the hierarchical cosmos at the head of which is the Holy Trinity—the flow of love in the communion of believers is visible in relationship. The authenticity of relationships depends on Truth and Love. Moreover, I believe that they must be understood as a single integrated whole. The saints and gifted artists whose lives bear witness to the fullness of life in Christ. The writings of Popes John Paul II and Benedict XVI especially. Also the writings on faith and culture by philosophers such as Etienne Gilson, Jacques Maritain, Max Picard and others. You live in a remote part of Canada and many of your past non-fiction essays and speeches have criticized aspects of modern-day secularism. Have your views about the modern world softened or changed at all in recent years? My core concerns have only grown as the years have progressed, mainly about the distortion of our psychological cosmos, if I can put it that way—how we perceive reality itself. I worry very much about the New-West's reduction of the miraculousness of being to a mechanism. The way people see themselves, consciously or subconsciously, as no more than intelligent bio-mechanisms. While it goes without saying that one needs to find what is good in the world, the good that's buried but still alive beneath the dehumanizing aspects of contemporary life, I know that my role is to raise questions about what the entire configuration is doing to us in the long run. Only three of my ten novels are specifically apocalyptic. However all these books are a kind of "warning-fiction," positing the immense beauty and depth of the human person created in the image and likeness of God—and what happens to us when this truth is effaced. Much of my non-fiction proposes positive approaches to building a truly human civilization, but it also critiques the ways in which our labors for this are being corrupted or blocked altogether. How are we being deceived? How do I deceive myself? Where am I permitting myself to become discouraged or addicted or unable to sacrifice for the good of others, or in any other way betraying the full meaning of my humanity? How are State and Culture reinforcing the evil or the good? What message do you want people to take away from your writings? While my novels are sometimes about the crucifixion of ordinary people, they always point to the resurrection, and the long-range work of divine providence in every life. It's my hope that my work can contribute to increased sensitivity to the sacredness of each and every life, no matter how degraded that life may be. Mysteries and marvels and untold stories are to be found within everyone. Nothing is ordinary. We are loved. We cannot see with such eyes unless the heart of Love is within us. The source of all true seeing is Jesus. God will force nothing upon us. But if we open our hearts to Him without reservation, and in a spirit of healthy submission, sub missio, within the divine mission for mankind's salvation, our lives will change and become more fruitful for others. Trust Him. He is with you. And be prepared for surprises.